Finding the right talent for the right jobs is a passion for Michelle DiTondo, senior vice president of Human Resources for MGM Resorts International. At the 17th annual HR Technology Conference & Expo in Las Vegas last week, she spoke about MGM’s unique workforce and a technology transformation the company has undergone to better manage and empower employees, gain greater visibility into talent, and streamline operations. 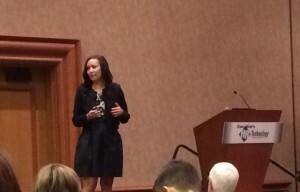 Michelle DiTondo at HR Technology Conference & Expo. Operating 23 resorts worldwide and employing more than 62,000 people, MGM has a diverse workforce that speaks multiple languages, spends most of the workday away from desktop computers, and is overwhelmingly made up of hourly employees. Employees often stay with the company for a long time, working their way up in the organization. “Many of our senior leaders have gone from desk clerks to presidents of a resort,” said DiTondo. 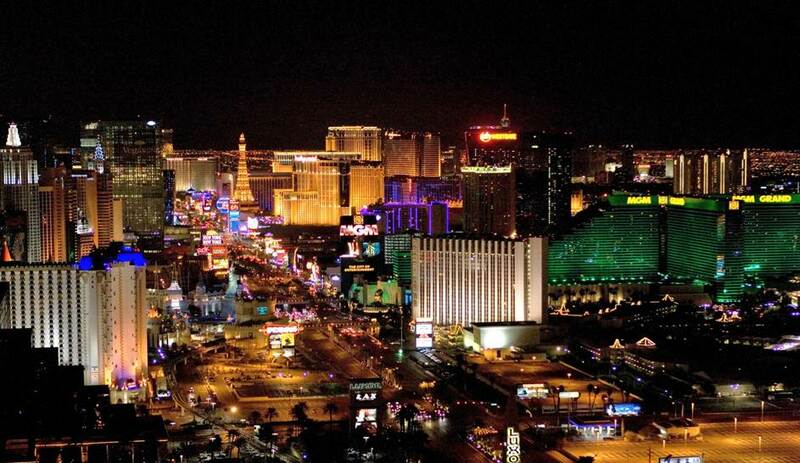 MGM counts on its people to deliver the ultimate guest experience. Delivering that experience was hampered by a decades-old mainframe human resources management system that made it hard for employees to get information when and where they needed it, and provided little visibility into talent. “Managers were spending 75% of their days on process, versus time on the floor with employees and customers,” said DiTondo. A change was needed. When faced with the decision of a system upgrade or trying a new approach, MGM selected Workday for new capabilities and insights that would move the organization forward. In 2013, MGM deployed Workday Human Capital Management (HCM), going live on Workday in under 12 months. Since then, the company has also deployed Workday Recruiting. “In the first three months after going live, MGM employees logged in to Workday on their mobile phones more than 250,000 times to access information and perform tasks,” said DiTondo. The move to Workday was a big change for HR and employees, and DiTondo shared lessons learned with peers during an HR Technology conference session. One recommendation was to embrace the opportunity to reconfigure outdated business processes as part of the move to a new system. “Don’t replicate your paper processes or other existing processes in Workday. Trust in Workday’s configuration capabilities and create processes that work better for you.” DiTondo says they now have greater transparency into approval processes and have cut down the number of approval steps. Today, the hard work is paying off. MGM has already seen powerful results across the organization, from greater employee engagement to improved business processes to stronger recruiting responses. “In the first three months after going live, MGM employees logged in to Workday on their mobile phones more than 250,000 times to access information and perform tasks,” said DiTondo. Employees no longer have to wait in HR offices to get what they need; they can view their pay slips and submit time off directly from their phones, freeing them up to focus more on guests. Employees have also embraced the anytime feedback feature, which enables any employee to provide positive feedback about a colleague from anywhere, at any time, and from any mobile device. To date, employees have submitted more than 81,000 feedback messages using the tool, increasing engagement and collaboration across the company. MGM has already seen powerful results across the organization, from greater employee engagement to improved business processes to stronger recruiting responses. After beginning to roll out Workday Recruiting in certain markets earlier this year, MGM received 19,500 applicants in the first 60 days, a significant increase in applications from their previous system. The company also surveys applicants on their level of satisfaction with the application process, and since the launch, it has risen from 76% to 98%. One of the most exciting new capabilities for DiTondo is the real-time insight into talent. At the conference, she shared a story about how she is using Workday HCM to help executives grow the business.